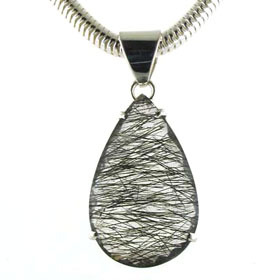 A sophisticated gemstone, black rutilated quartz creates unusual and unique jewellery. 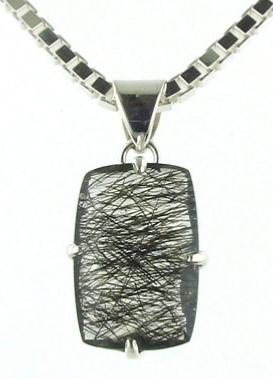 Inside clear crystal quartz are suspended needles of black tourmaline. 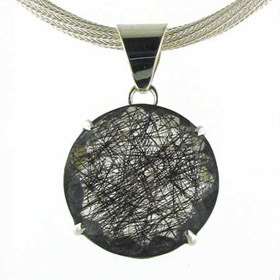 These can be sparse, frenetic, thick or fine - every piece of black rutilated quartz jewellery is unique. 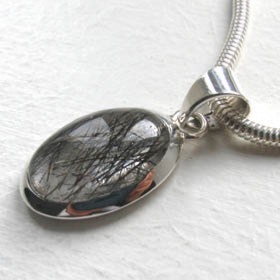 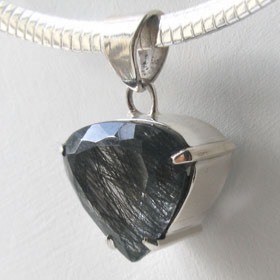 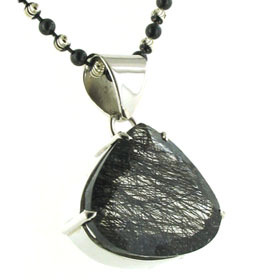 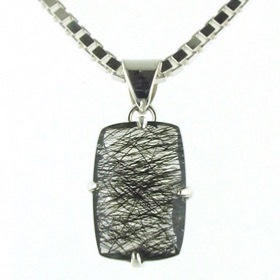 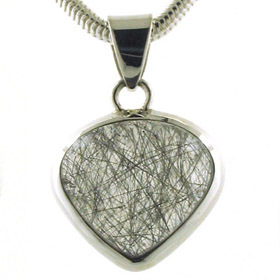 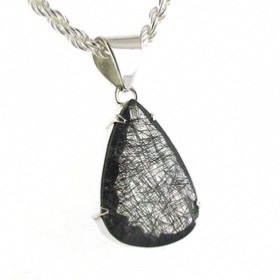 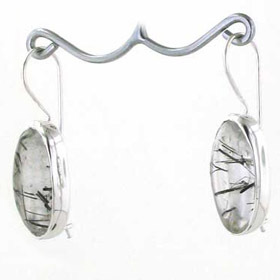 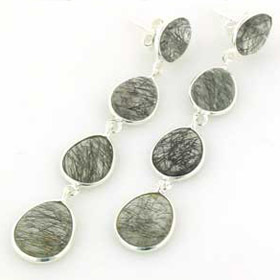 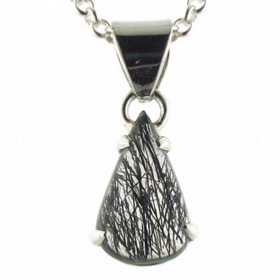 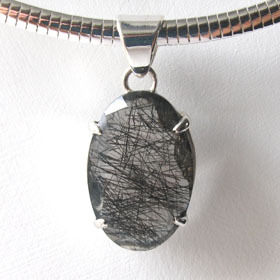 Our black rutilated quartz jewellery is set into sterling silver. 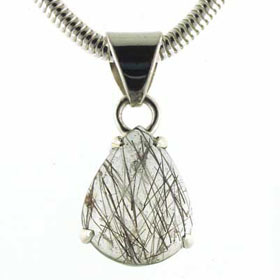 See also our dramatic golden rutilated quartz jewellery.